From “costs-per-lead” to “ad servers”, the world of digital marketing can seem pretty overwhelming. Digital media consumption has drastically increased over the past decade, outpacing television consumption. In 2016, the National Association of Realtors reported that 86% of homebuyers used the internet in their research process. That percentage will only increase. The internet has changed the way that people shop for everything. Digital marketing is the best way to engage consumers in the electronic age. What is your ad asking consumers to do? What specific actions can they take after viewing the ad? Examples: Click here to visit our website. Follow us on Facebook. Create an advertising budget that you or your firm can afford. What marketing strategy fits within your budget? Many search advertisements are “pay-per-click,” meaning that you pay only when a viewer clicks. With Google AdWords, you establish the highest amount you will pay per click. What is your target audience? How can you direct your ads to your specific audience? How will you measure your progress toward your goal? Will it be page views, link clicks, number of purchases? A display advertisement leads to 250 new page views. 40% of ad viewers continue to Google the brand or project advertised. Budget: How much money do you have to spend on advertising? While some firms may only want to spend a few dollars a day on advertising, some firms may be able to spend tens of thousands of dollars a day. Do some research and determine where your consumers spend the most time and what price points are the most feasible for you. That the right ads reach the right people: The internet is expansive, with hundreds of millions of users. However, not every user is looking for title insurance. Be sure that you find the consumers that are. Keep in mind what people are searching for. Many homebuyers may be unfamiliar with title insurance. Instead, they may do searches for words like “insurance” or “real estate.” Devise a list of keywords that describe or relate to your business. When these keywords are searched, your search ads will appear in the search results. In videos tagged with those keywords, your video ads may play and your display ads may be shown on websites tagged with those keywords. Metrics: How many clicks did your advertisement receive? Did you notice an increase in page views or purchases? Are you meeting your goals? If not, why? It’s important to keep track of your digital campaign’s metrics. If something is doing well, repeat it. If something isn’t doing very well, figure out why and how you can fix it. Determine your goals and how you’ll measure your performance: Whether your goal is 10 clicks per day or 1,000, keep track of your metrics and measure your success. Establish your budget: Big or small, settle on an amount that works for you. Decide which strategy is best for you and your firm: If you have a large Facebook following, display ads may work best for you. If you’re more seasoned in digital marketing, video may be the next step. Figure out what works best for you and what you can afford. Create a keyword list: Which words describe or relate to your business. Be sure to tag your website and your ads with these words. Start with a low-budget campaign: Start small and look at your metrics. When you’ve mastered your first campaign, move on to something more complex. Test and optimize your marketing campaigns: The only way to improve your strategy is to test, test, test! After each test, see how your metrics have changed and optimize your advertisements based on those changes. With that, start your online marketing campaigns! 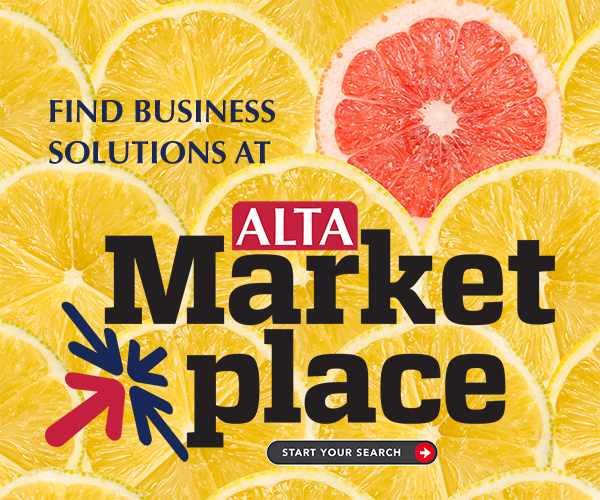 Don’t forget to check out ALTA’s digital marketing resources here. These are free with an ALTA membership. Looking to take your digital marketing further? Attend one of ALTA’s 2018 Innovation Boot Camps. We’ve got upcoming Boot Camps scheduled in New Orleans and Minneapolis.